My sister was always a slow, safe driver. I used to say she drove like a grandma. Nowadays, I appreciate the safety of it all. I remember being Kimberlee’s passenger in her 1979 Diesel VW Rabbit out on the empty NV roadways. 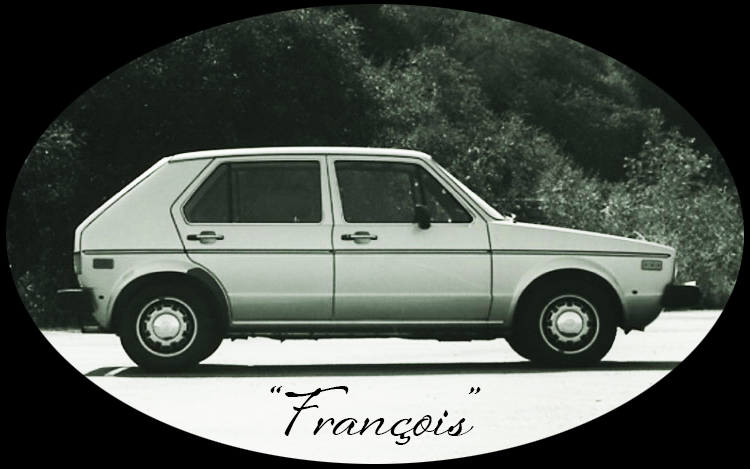 Her car’s name was François. Kimberlee was 17, I was 21. I was home for the Summer working my Seasonal Park Ranger job. On my days off, we’d go for these long drives. That’s how we’d go “do” something in a town that didn’t offer much else to do. I remember how the little car felt like riding in a spaceship, because we were surrounded by windows. I remember eating cheesy Doritos and drinking Dr. Pepper and singing to awesome mix CDs my sis had put together. The song that takes me back to being in my sister’s little car, out on the road to Spring Valley State Park, is The Secret of Life by The Dead Milkmen.